Telgar Weyr, located a short distance north of where Telgar Hold was founded, is housed in a bowl that lies within the broad crater of a presumably dormant volcano at the furthest northern reaches of he Central Mountain Range. The mountains around them are rich in iron, copper, lead, zinc, vanadium, and coal, oil, and other such natural resources. Telgar Weyr is responsible for protecting the woodlands to the east and grasslands to the west. "Telgar was one of the earliest Weyr sites chosen, but it was the last to be occupied. Tremendous ore deposits of iron, copper, lead, zinc, vanadium and coal were found above the place where the Hold was founded. Rock oil was discovered too, but applications were limited to industrial use. Also noticed was the broad crater, not unlike the one near the eastern shore of the Northern continent and the one to the Southwest near the great Fort cavern. Because Telgar was a mininghold first, there was little need to protect vegetation. What protection was needed was flown by riders of Igen Weyr. It was easier for the minder and smiths if the bare rock was exposed. The men in the mines had little to no fear from a threat that could not eat stone, metal or water. 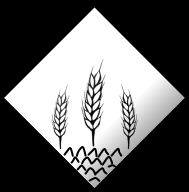 Gradually as the demand increased to expand farms to include the fertile fields below the Hold, the Weyr was established. Telgar quickly grew in prominence as a Hold rich ni natural resources and good grain. Telgar's Weyr Bowl lies in a huge volcano at the tio of the Central Mountain Range just south of its junction with the Northern Barrier. It protects the woodlands of Lemos to its east and the grainlands to the west."